For the three of us, AGM stands for “Annual Group Meetup”. 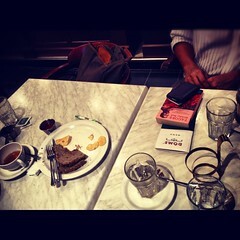 Involving dinner, coffee, and philosophy. We talked about I-Ling’s blog post on how she picked up making music again (how touching *sniff*), and at the same breath I poked fun at how she owed a few vocal pieces. Though, I cautioned, that could sound like an excuse for not improving our musical craft. I-Ling suggested we were “Starfish Stories :: The Excuses”. Maybe we’re using our music as an excuse. 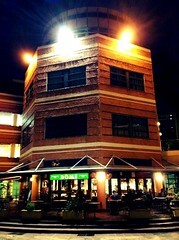 So that we can indulge in philosophical musings over dinner and coffee. This entry was posted in Friends, Inspirations, Starfish Stories, work-in-progress. Bookmark the permalink.